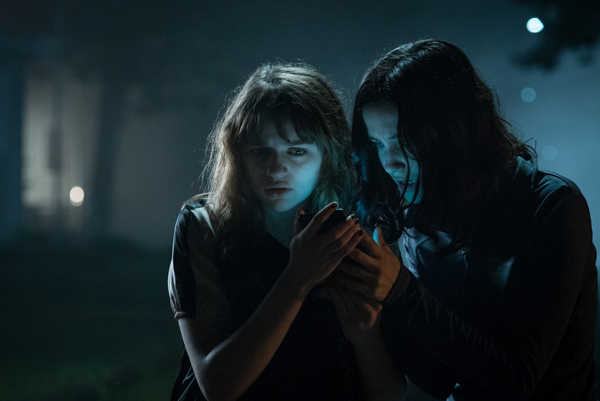 Joey King ("Wish Upon") does battle with another supernatural entity in "Slender Man," an adaptation of the popular internet meme, created by Victor Surge. In the film, the faceless, tall, handsomely suited boogeyman gets into the heads of bored teenagers, driving them insane with fear, and eventually... doing... bad stuff?... to them... apparently. Sylvain White ("Stop the Yard") directs, and Juliana Goldani Telles ("The Affair"), Jaz Sinclair ("Paper Towns") and Annalise Basso ("Ouija: Origin of Evil") co-star. In his review of "Slender Man" at The Wrap, William Bibbiani says "the most terrifying moment came when someone dropped a beer bottle at the back of the theater," critiquing the film's "boring" and "underwritten" story, and the incredibly dim lighting, which makes the film "so dark we have to take most of the jump scares on faith."